Find Luxury Villa in Crete: Your Cretan Journey Begins Here! Elite in Crete offers a unique, hand-picked portfolio of accommodations ranging from opulent ultra-chic villas to elegant, traditional stone villas and rustic restored 19th century homes, to suites in lovingly renovated mansions and quaint apartments. Find a Villa in Crete with us! Our featured selections have been chosen for their genuine character, authenticity, unique touches and individuality. They represent a collection of our personal favorites and where the owners are friends who will endeavour to make your experience in Crete even more special. By limiting our alternatives, we are offering first-hand, in-depth knowledge of each and every home, their settings, ambience and locations, as well as ensuring that our high standards are continuously being met at all of our personally inspected properties. We provide expert advice and insider tips to help meet your specific requirements to rent fantastic villa in Crete, so tell us what kind of experience you seek and let us guide you to the right location for that perfect match of lifestyle and travel. Would you Like a Personal Advice? Giassou! 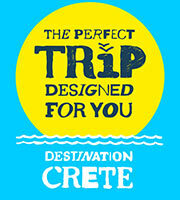 Tell us about yourself, your group and how you envision spending your time on the island of Crete. We will be more than happy to personally advise you and offer suggestions that will make your holiday the most enjoyable by helping you select "your perfect accomodation". Planning your holiday with locals is the best way to discover Crete. Let us know what other expectations you might have and what activities you might want to undertake in order to enhance your stay and make it truly memorable.